There is Room for More for the October 2 How to Photograph Jewelry Webinar. Yup. That is next Sunday October 2 at 2 pm EST. We are now moving into prime selling season for jewelry makers. So if you are free and want to improve your jewelry photography, save time with your online work flow, then email me asap! (pearl@beadinggem.com). Spruce up your shop in time for the upcoming season. Click here for more information on the webinar. Please note there is a small fee of $20. This helps towards the cost of the software used. Payment will be via Paypal. If for any reason life happens and you cannot make the webinar date at the last minute, I can reschedule you for the next convenient one. You can also do a webinar refresher later on for $8. The webinar teaches you about the different kinds of cameras and the most important settings you need to know so you can quickly get going. It also covers all sort of tips to get great pictures for your online shop and for promotion on social media. One thing is certain. Not only do you need good photographs, but you need great work flow especially using smartphone apps. 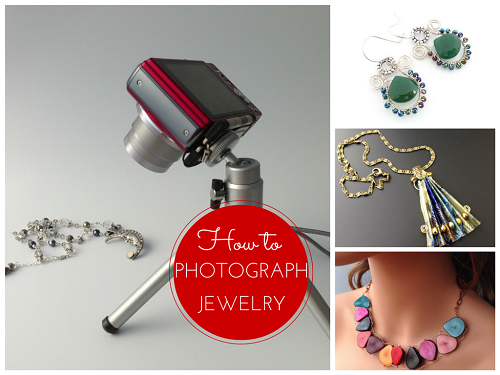 Save time photographing so you can do what you love most....make jewelry! PLEASE ALLOW 2- 2.5 HOURS. There is plenty of time to ask questions. We can also discuss the trials and tribulations of selling online!